I am a person who has for a long time sat light to church structures. I grew up in a traditional anglo-catholic congregation but was decisively converted in my student days under the influence of the Christian Union. There were many old ideas which I abandoned at that point and others it seemed natural to take on board. Lay celebration, for example, suddenly seemed a statement of the obvious, whereas genuflection to statues equally suddenly seemed rather unnecessary. That organisation has, of course, changed since the early seventies. But for some people, those changes are now suggesting thoughts of leaving, and I must admit that the same idea has crossed my mind. Sometimes it has been the heady aroma of pastures new, free from Canon Law, folk religion and form filling. At other times it has been sheer disgust and the embarrassment of being associated with others whose words and deeds make a mockery of what I believe. Now might seem a good time to take the money and run. Yet – somewhat to my own surprise – I find myself more committed than ever to doing nothing of the kind. One reason for this is that a few years ago I took on holiday Patrick Collinson’s The Elizabethan Puritan Movement. Here I discovered not the disgruntled schismatic of popular imagination, on the verge of ejection from the denomination and emigration from the country, but one who was simply “the hotter sort” of Anglican. Suddenly I felt I had roots! My own relationship with the church had an Anglican precedent. A second reason, however, is less clearly articulated. It is simply that lately I have found myself speaking less of the Church of England and more of the church in England. I am coming to view the Anglican church as simply the historically continuous manifestation of Christianity in this country. This seems to share the understanding of men like Thomas Cranmer and indeed Henry the Eighth. They were not starting a new denomination but reforming the existing church. In this sense, the Church of England may be thought of as being itself like a country. Governments come and go, but the country remains. If I were American I would not abandon America just because the President changed from Democrat to Republican. Similarly, I will not abandon the Church of England just because I don’t like the way it is presently run. I recognize this could be accused of being an emotion rather than an ecclesiology, so I will try to argue it a little further. First, a proper ecclesiology admits of no denominations. Denominations are just groups of people who agree on how the church should be run and in the sense used above they are more like political parties than countries. The instinct of Anglican comprehensiveness is that you can belong to a different party without quitting the country. However, in the church as in the world, parties must be allowed to come and go, to wax and wane in influence. It is often where this has not been allowed, in particular where the growing influence of one party has been improperly resisted, that denominational ‘splits’ have resulted. Second, the church is defined spiritually, not organisationally. The Anglican church is not where Anglicans are but “where the Word of God is preached and the Sacraments … duly ministered” (Article XIX). The Articles further state that “It is not necessary that Traditions and Ceremonies be in all places one, and utterly like, for at all times they have been divers, and may be changed according to the diversities of countries, times, and men’s manners”. The Church of England can change, for better or worse, without ceasing to be the church in England. What, then does it mean to be Anglican? It is not to be baptised in an Anglican church – Anglican baptism is into the flock of Christ. Nor is it to be confirmed by an Anglican bishop – unconfirmed children are still Anglicans. Nor is it to accept the Thirty-Nine Articles – most Anglicans have never even read them. Anglicanism is not in fact a Confessional’ stance at all Our only confession is Christ and our only church is the one catholic and apostolic church. To be Anglican, if it has any specific definition, means accepting an historical succession of the one body of Christ in England with which the Church of England stands in immediate continuity. More simply, anyone is an Anglican who is involved in Anglicanism. 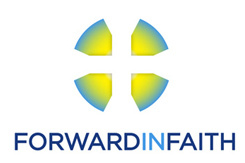 The definition is broad because the Anglican formularies are intentionally inclusive in the spirit of Romans 14:1, “As for the man who is weak in faith, welcome him, but not for disputes over opinions.” The one restriction Anglican comprehensiveness places on itself is that “nothing be ordained against God’s Word” (Article XXXIV) which is intended not as a restriction on the nature of Anglicanism but on the nature of the church. But what if the government of the church is incompetent’’ What if it indeed ordains things contrary to God’s Word? In that case the government must be challenged and changed. We clearly have not only a right but a duty to fight for the integrity of the church, not merely for our own sakes but for the sake of the salvation of others. And here we need to realise that what opposes the Word of God, either positively or negatively, is not lawful in the church. To claim otherwise is, in fact, truly sectarian. If a thing which opposes the Word of God is put forward as ‘Anglican’, either by ancient tradition or modem authority, then it sets the Church of England apart from the Church of God. We should not allow ourselves to be forced into opposing or prevented from doing that which is in accordance with God’s Word. And if we do allow this then clearly there is a problem with either our courage or our integrity. But what can we do about those in higher office who have no such qualms, or who do not share our understanding of God’s Word? What do we do, for example, about the endless statements and reports which claim to speak for the Church of England but which deny or abuse the Word of God. The first thing we must do is check our theology. If we are sure someone or something is wrong we had better be able to prove it! Second, we must speak and act as loudly and clearly as we are able in contradiction. Third, we must pray and trust God. Martin Luther pinned a proposal for an academic debate to his church notice- board and sparked off the Reformation. (The moral is to have the notice-board outside!) Yet many others must have shared his unease, his thinking and his boldness. In the end only the providence of God meant Luther was not consigned to the fire or the waste heaps of history. Is there, however, a point at which we should walk away? Personally, I think not. To walk away would merely be to leave the entire Church of England, including its congregations, in the hands of people we think are wrong. However, if we stay we must be willing to fight, and I recognize this causes problems to those who believe that the truly ‘Anglican’ attitude to the hierarchy is submission. In closing, therefore, I repeat what I said above: to be Anglican is to be involved in Anglicanism. Arguing with bishops can therefore be a thoroughly Anglican activity!